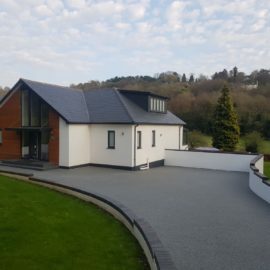 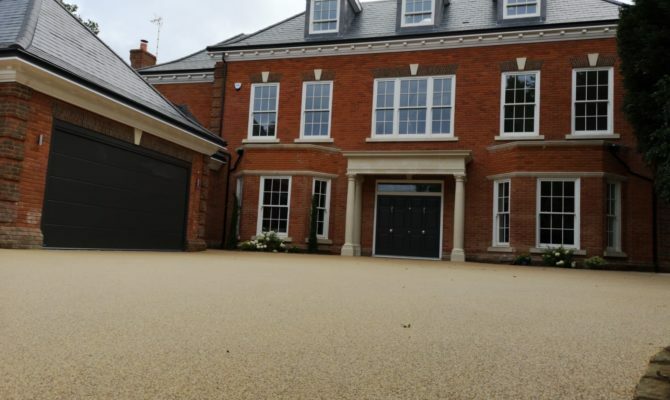 TTS Surfacing Limited carried out the work on this exceptional property in Cobham, Surrey with the driveway measuring 253m² and Bellmouth at 40m². 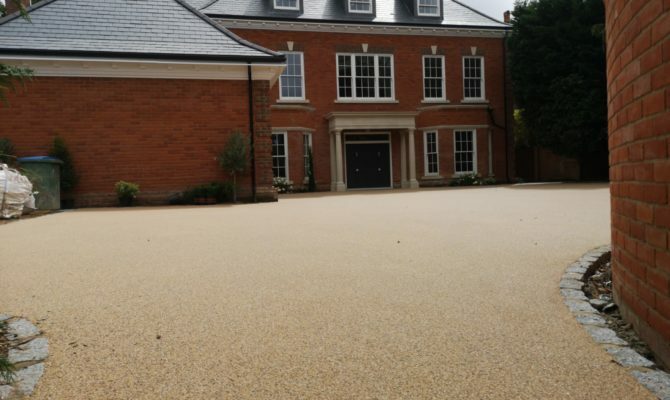 The finished driveway surface chosen was the impressive Harvest Fawn Resin Bound Driveway. 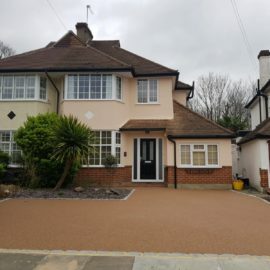 Dig out area to a depth of 150mm on average and muck away.Supply and lay 162mm type 1 crushed concrete and consolidate. 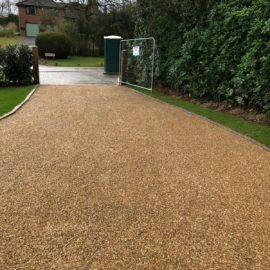 Supply and lay 46 linear meters of granite setts to perimeter of area where necessary. 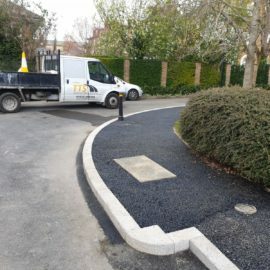 Supply and lay 16 linear meters in 3 rows of granite setts. 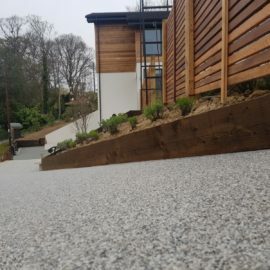 Supply and lay 70mm of 14mm open graded wearing course macadam. 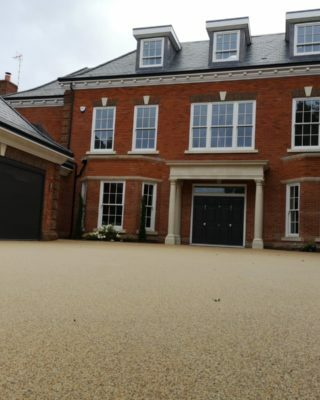 Dig out bellmouth area to a depth of 250mm and muck away. 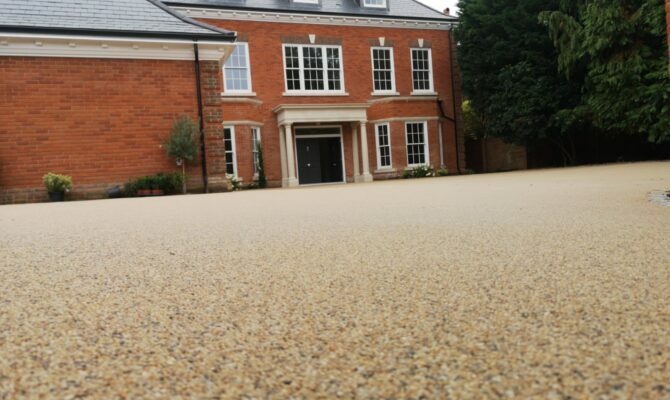 Supply and lay 170mm type 1 crushed concrete and consolidate. 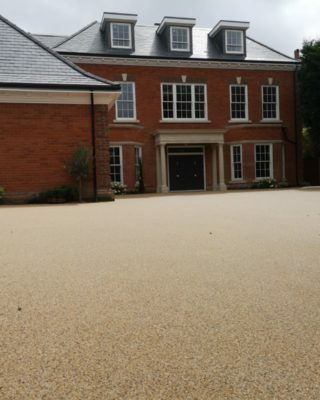 Supply and lay 50mm of 20mm base course macadam. 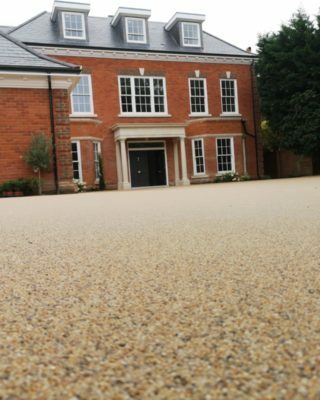 Supply and lay 30mm of 6mm wearing course macadam. 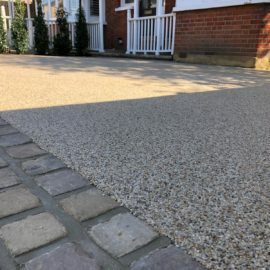 Supply and lay 15mm of mid-range Harvest Fawn bound wearing course.